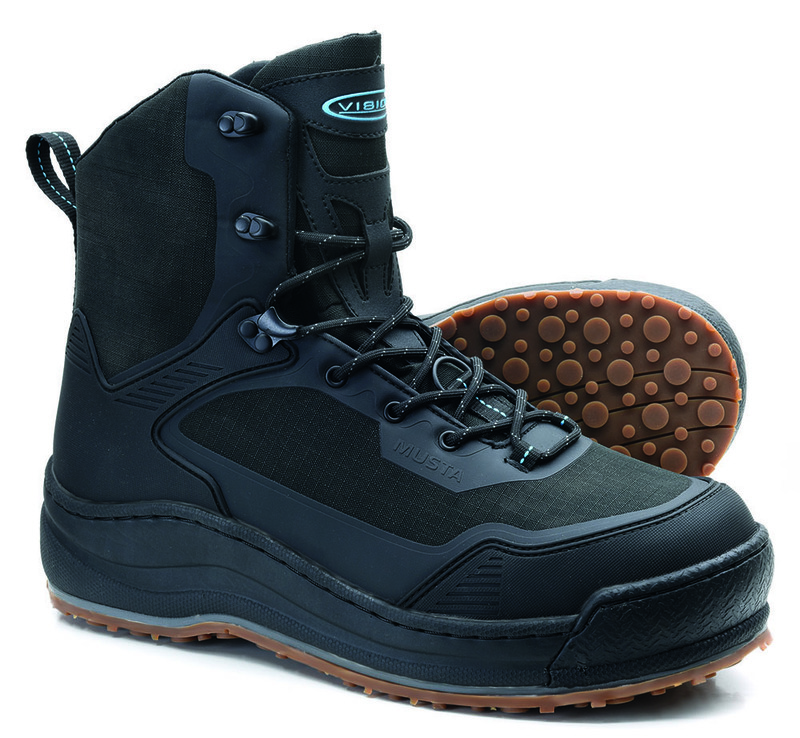 Musta is a more modern wading shoe with a TPU re-enforced ballistic polyester upper. The TPU print in designed areas give good wear resistance without making the shoe too bulky and heavy. 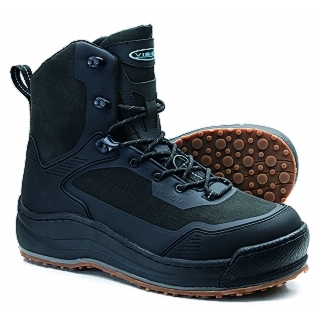 The shoe is easy to get in and it tightens easily. For added strength the stitching is recessed into grooves and the EVA midsole and front bumper are stitched to the shoe’s upper.